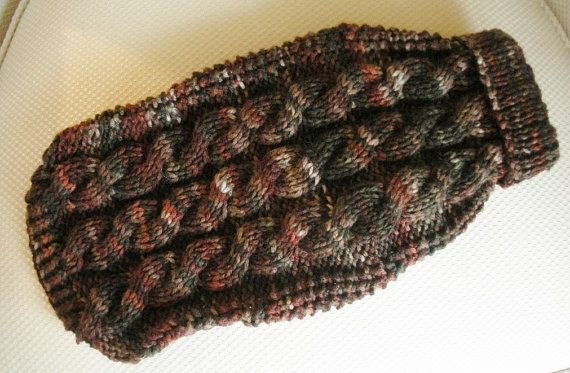 This soft sweater mixes shades of brown, tan, grey and deep reddish-brown. 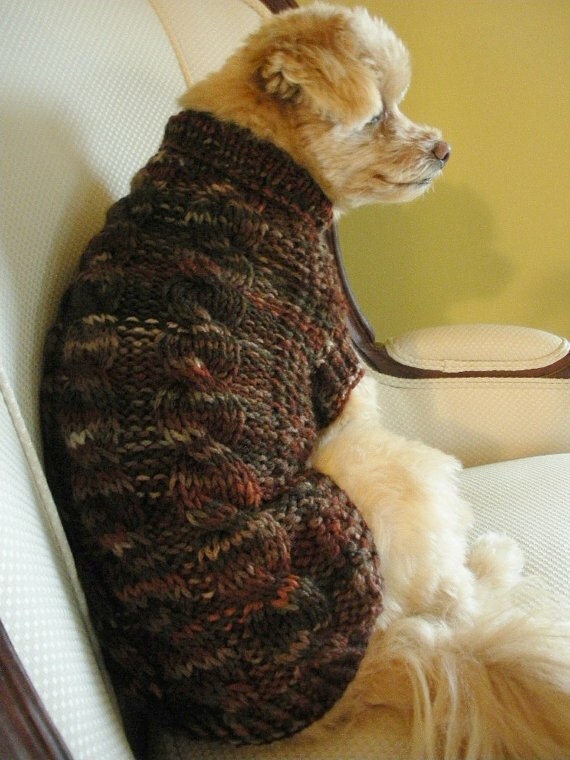 Three big cables run down the back making this sweater stretchy and comfortable. 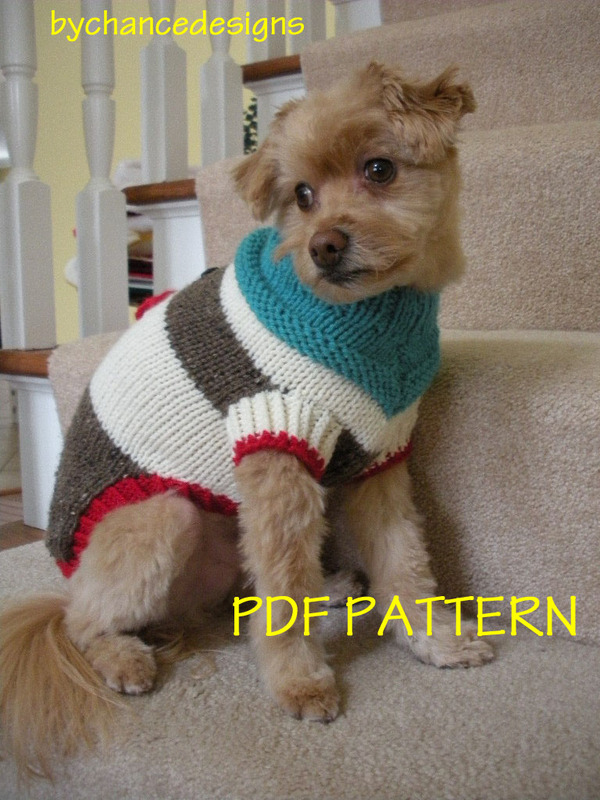 Easy tips for measuring your dog – Place tape measure around your dog’s body just behind the front legs – this is the CHEST CIRCUMFERENCE. 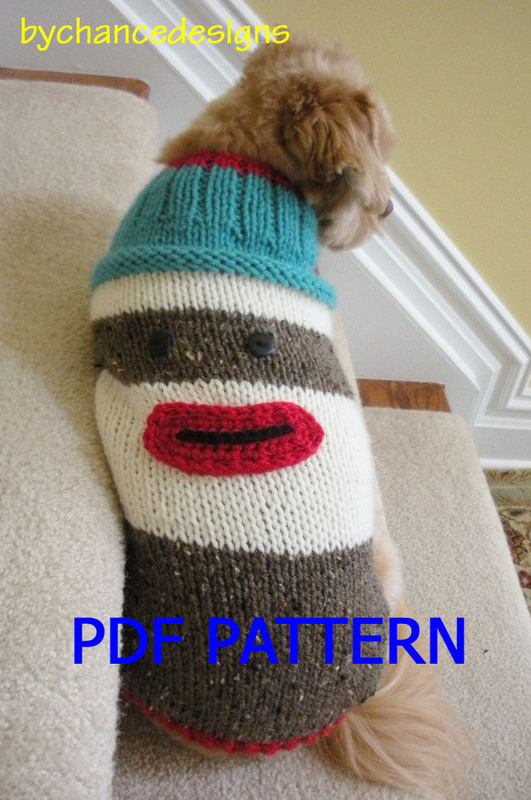 Here’s a free PDF with instructions for knitting my Holiday Sock Monkey Sweater in size Medium. Enjoy!!!!!! 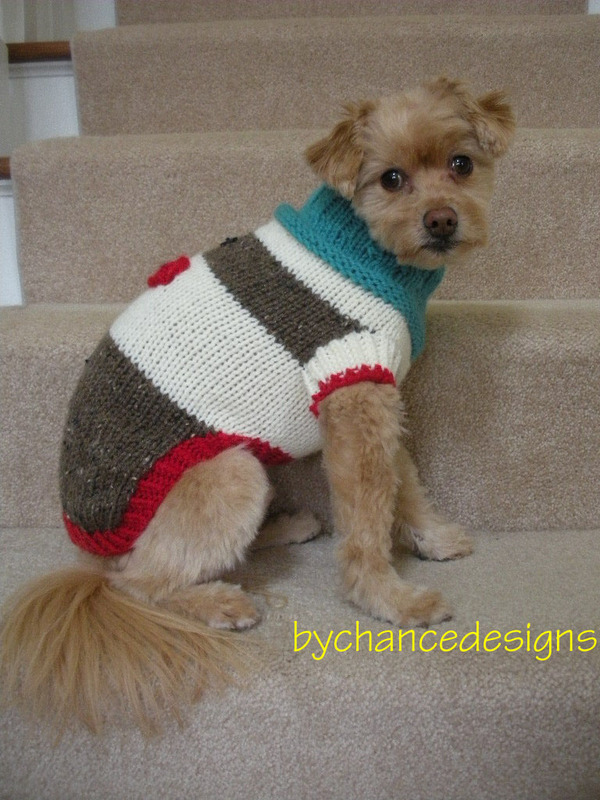 I would love to see photos of your dogs wearing their sock monkey sweaters!